Feb. 9, 2019 10:54 a.m. The Oyama community is mourning the loss of one of its rising stars. Derek Flowers-Johnson, 18, was killed in a car crash Friday morning. Kelowna RCMP responded just before 6:30 a.m. to a report of a crash on Highway 97 North near the University of British Columbia overpass. When police arrived, they found a single vehicle had collided with a semi-trailer commercial vehicle. 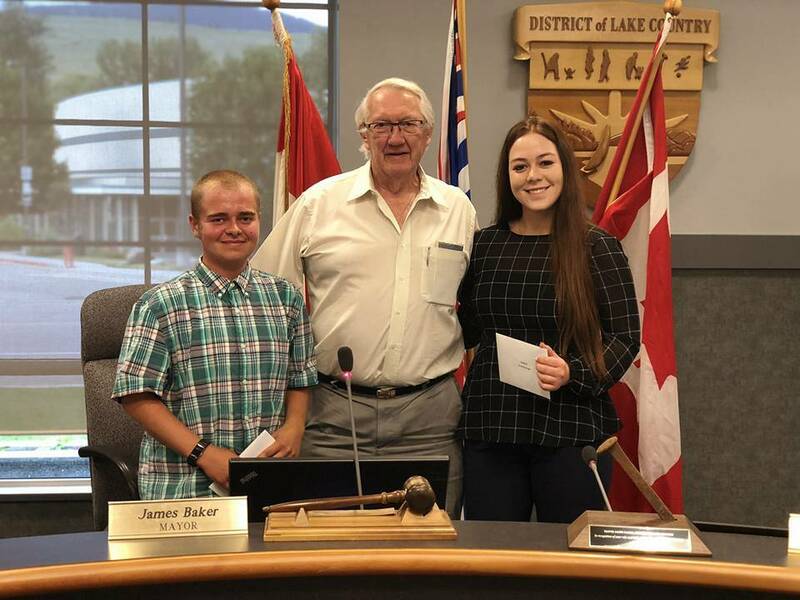 Flowers-Johnson was an active member of the community, sitting on Lake Country’s council as a student councillor in his final year of high school at George Elliot Secondary in 2017. He was a member of the youth firefighting program, and was attending Okanagan College, said Mayor James Baker. “He never said much (while sitting on council) but he was quite animated (afterwards). He got about six scholarships and bursaries and things. He did trades training, I saw him last fall,” he said. “I happened to be going down the corridor in the trades building when the classes ended and I talked to him. He was so excited, he was really enjoying college and doing good stuff. Brendan Prettie, Oyama Community Club president, didn’t know him personally but said it’s affected everyone in Oyama. “I know it’s directly or indirectly affected everyone I know, already I’ve heard from every angle, some kind of effect, or someone knowing him, or their kids are friends with his little brother, something,” he said. Lake Country fire chief Steve Windsor said he was enthusiastic about the firefighting program. “He had participated in our youth firefighting program and had really enjoyed it. He was one of those individuals who really liked to participate and not that he was necessarily was going to be a firefighter, but he just went at it wholeheartedly. The guys who were teaching the program were pretty hard hit yesterday by it,” Windsor said. Tara Shoemaker, an admin on a popular Lake Country Facebook page, suggested organizing a food train for the local family at the request of another community member, she said in the post on Facebook. The post gathered more than 100 likes and more than 80 comments, offering support. Bayley Hurdle, who started a GoFundMe for the family Saturday morning, said she grew up with them. The GoFundMe can be found at https://www.gofundme.com/gofundme-for-derek-johnson.